The new exhibition Tutankhamun and the Golden Age of the Pharaohs offers a unique insight into the art, wealth and power of Egypt's New Kingdom. 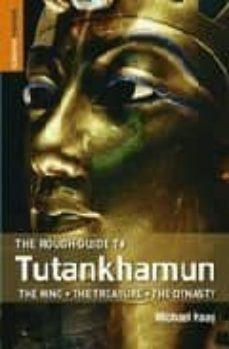 "The Rough Guide to Tutankahmun" provides all the background, with compelling details on the treasures and their discovery. From the opulence and riches of the royal court at Thebes, to the cult of the god Amun and the great heresy of Akhenaten, the extraordinary era of Tutankhamun's Egypt is explained. The full story of the Valley of the Kings is told, shedding light on why the royal tombs were built, who built them, and how they were decorated, together with the significance of the treasures and the practice and processes of mummification. Fascinating background on Howard Carter and Lord Carnarvon, the discoverers of Tutankhamun's tomb, and on the fabled curse and its supposed victims. And a report on the CT scan of Tutankhamun's mummy, done in 2005 to reveal the pharaoh's true cause of death.